two in a row, eh? Very unusal but as Roman just returned from his Vienna Painting Class it takes a little more time to prepare the big article about painting black. Expect this one to arrive tomorrow. 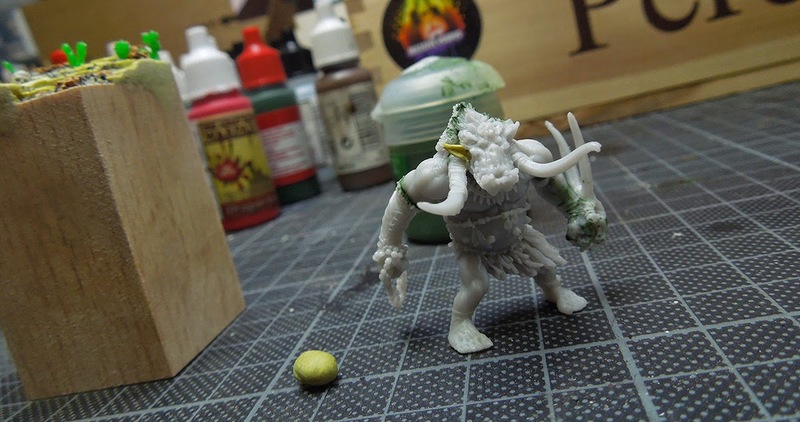 Meanwhile we are talking a look on a cool Orc Shaman model from a brand new company called "Don't Panic Games" from France. They launched their first Kickstarter just some days ago and are already backed and now it's all about more cool stretchgoals and additions to their cool game, called "Drakerys". Have a look! 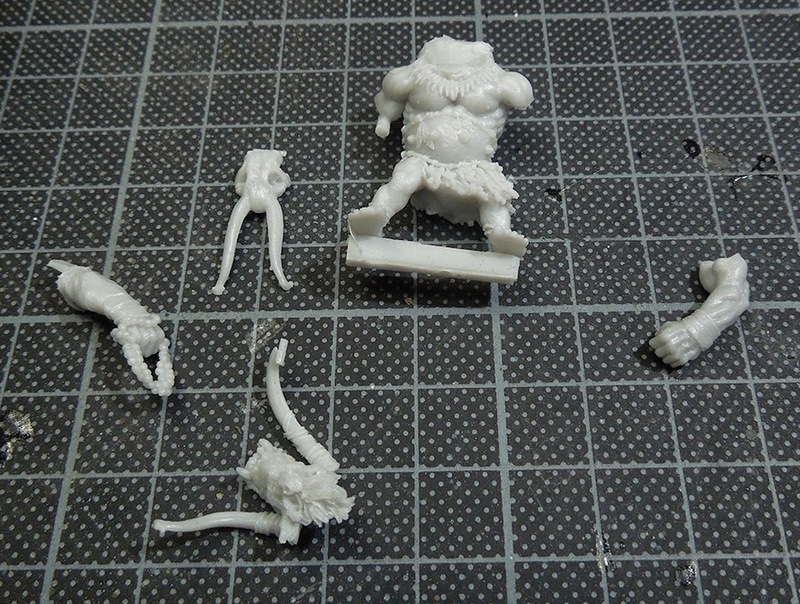 Well, the jungle recieved one resin copy of the Orc and a Fire Elemental up front to help spreading the word about such cool figures and this is what we do now. Having a closer look on the two figures we recieved, with focus on the Orc, sculpted by no other than master sculptor Allan Carrasco. 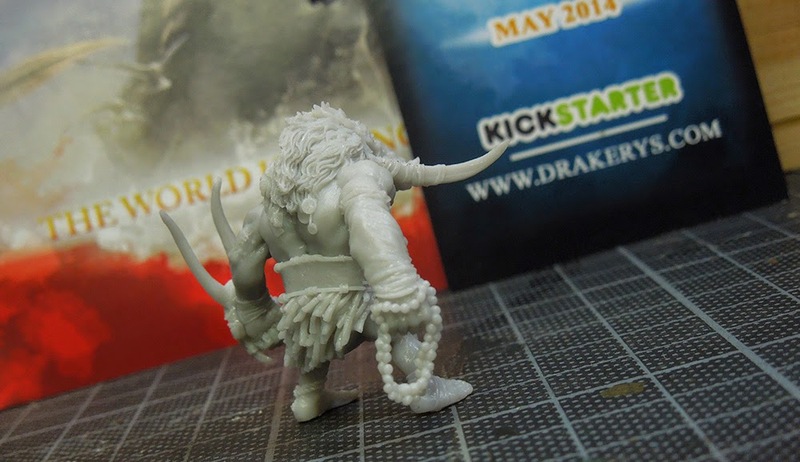 The miniature comes in 32 mm, usual gaming size and is so cool for its scale. Really handsome and a true Allan Carrasco. 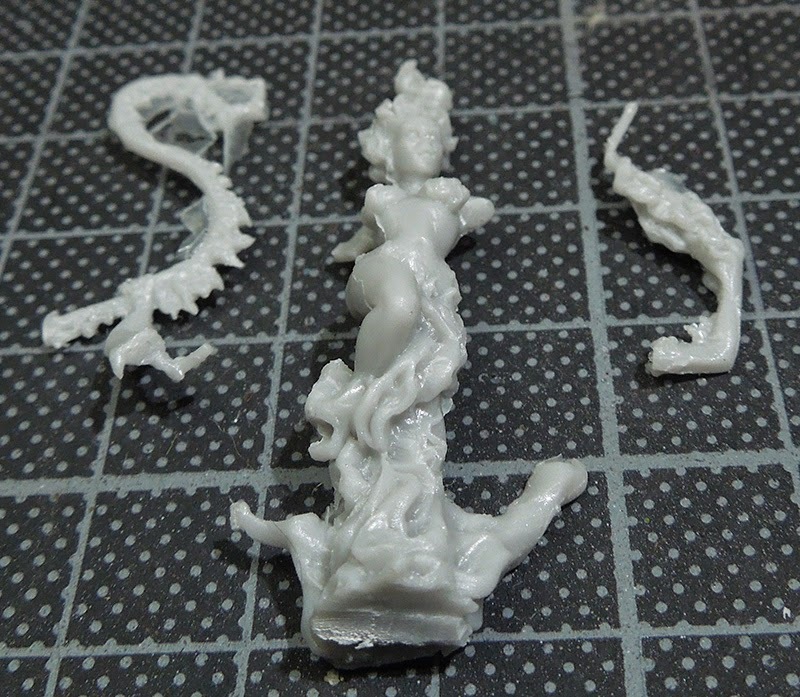 We recieved a resin copy, keep in mind that the models from the Kickstarter will be in plastic and we hope "Don't Panic Games" will keep the same good quality for these models as they did here. 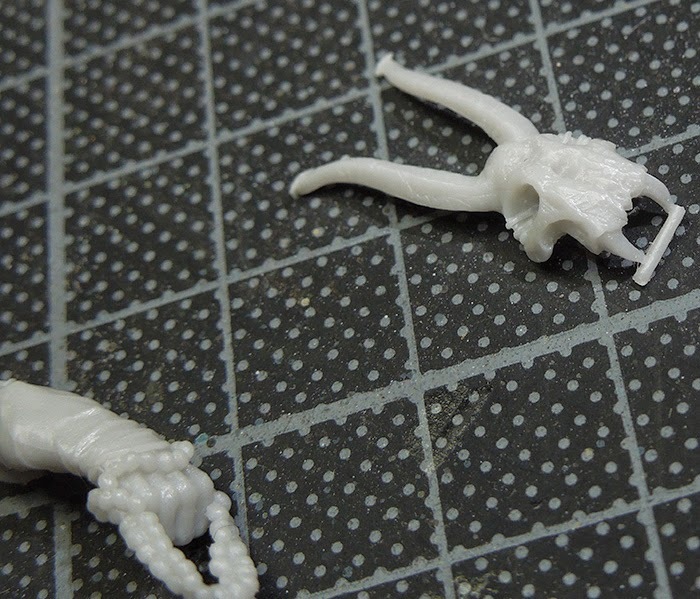 While we were cleaning the parts from small mouldlines with a knife and started to build up the figure we realized one ear missing completly. 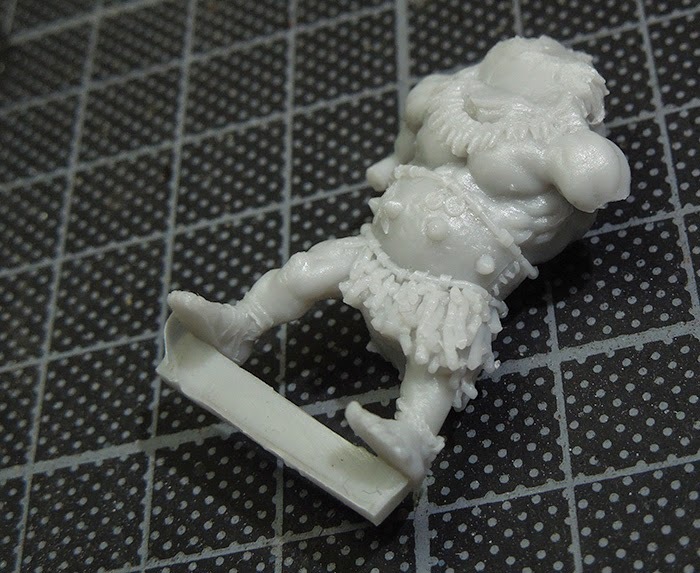 We got back to the staff of "Don't Panic Games" and asked about it and we were assured that this was just a miscast and this is not to happen to the plastic figures of the game. We had little choice but to sculpt that ear ourselves and so Roman did with the use of Milliput. The fitting of the parts went pretty well but small gaps had to be filled with the use of liquid green stuff. Normal procedure. 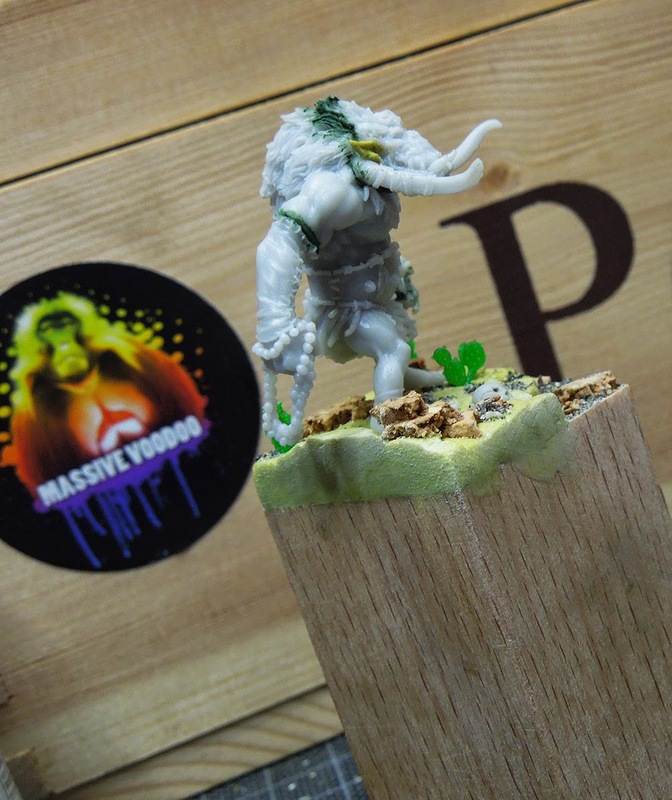 As Massive Voodoo's year of the painter is bringing you miniature hobby joy in its full force we also have a step by step about this guy in preparation. Stay tuned to see how his base was planned and how the painting went on that guy, even with that sculpted ear. 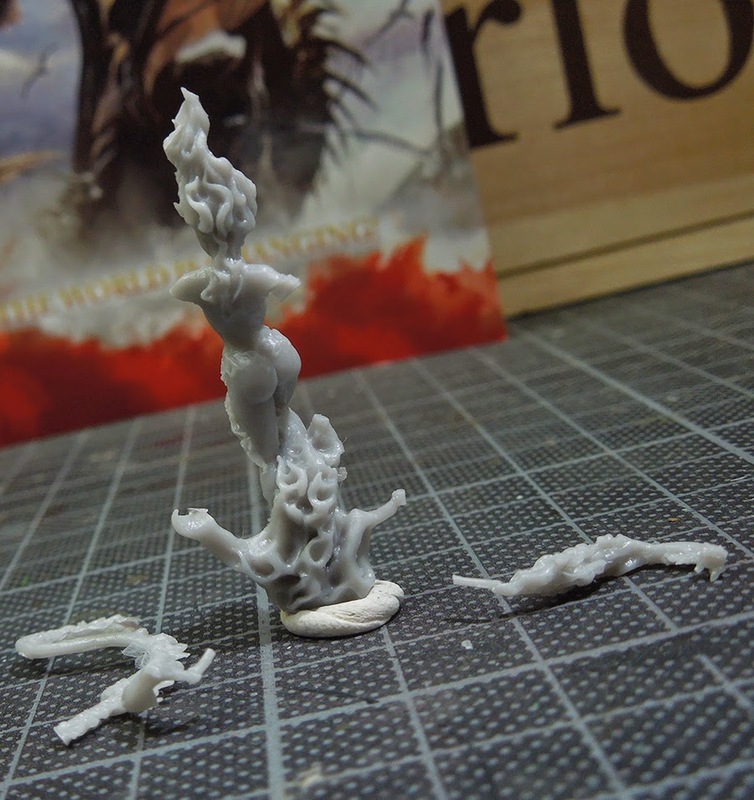 Now let's have a look at the fire elemental we also recieved in resin. As said the game's figures will be cast in plastic, at least that is the information we got from the producers. 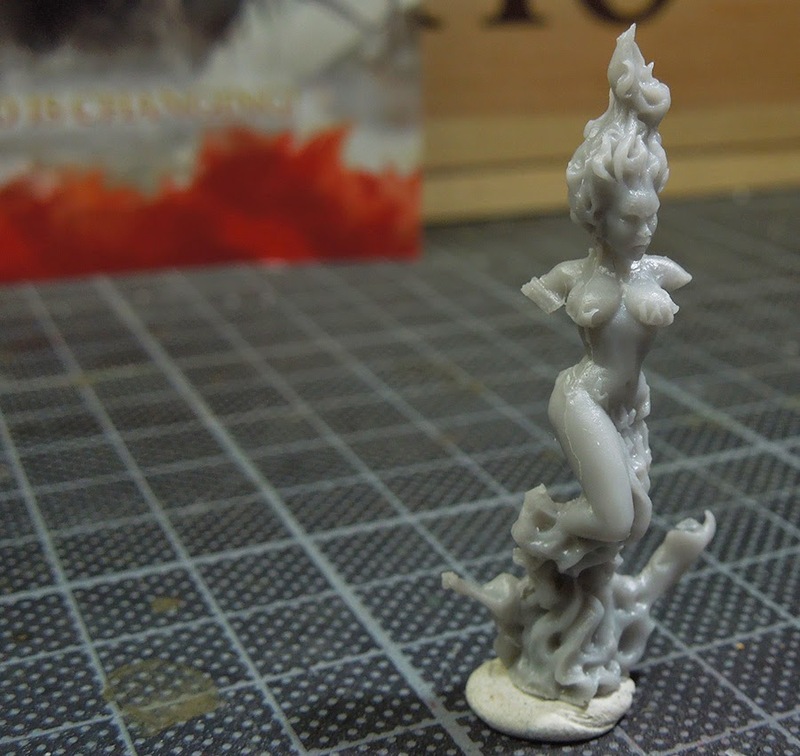 The female fire elemental arrives in three pieces and the first impression on the resin cast we got was "Ouhh, much cleaning ahead!". Luckily most of the cleaning work was easily done as there have been a lot of thin "casting skins" that were quickly removed. Some mould lines here and there had to be conquered by using sandpaper. What we can say is that we enjoy both figures a lot. Both have a very cool character design and as the Orc is already painted we can also say that painting this guy up was a lot of fun. 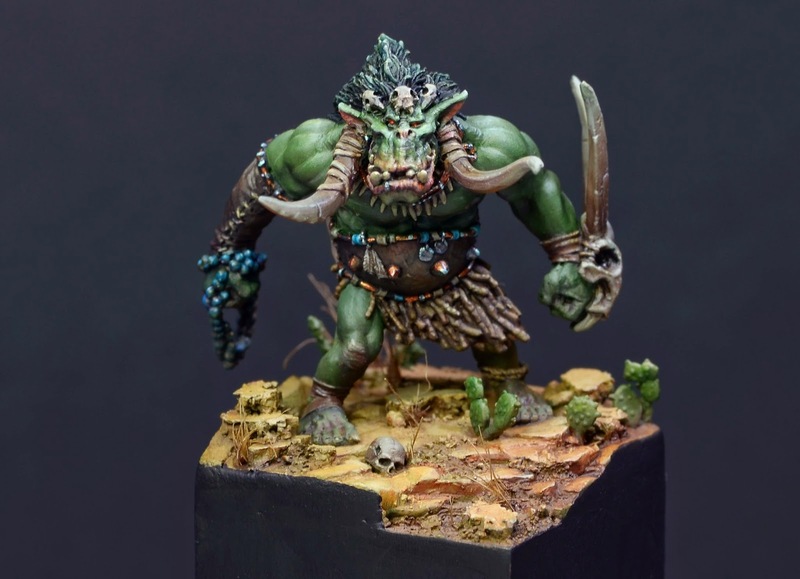 You will find more photos of the finished Orc in the next days in your jungle. Meanwhile Raffa is painting the fire elemental and will have more information on it for you soon. Sadly we can not tell you about the quality of the final plastic versions of the models as we recieved those resin casts for reviewing. We wish for the same quality in plastic and wish "Don't Panic Games" a success in their Kickstarter. 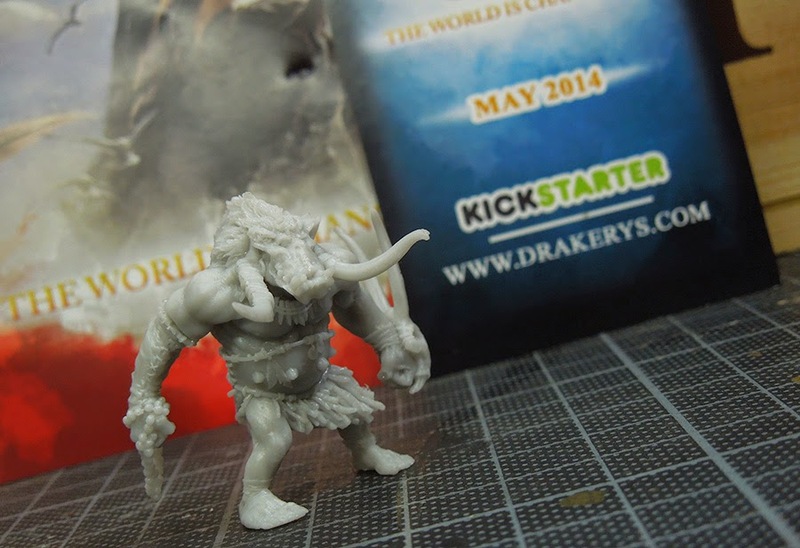 Drakerys - the Miniature Game on Kickstarter!